← Oh, my aching back! I woke up and looked out the window. It was snowing. Okay, so it’s Chicago, and it snows in Chicago, but it is mid-April! I should know better, because if memory serves me correctly, our first son was born on April 20th in 1979 and it was snowing. Nonetheless, despite warnings of two to three possible inches, due to the fact that it is supposed to be in the 50s tomorrow, we didn’t take this seriously. 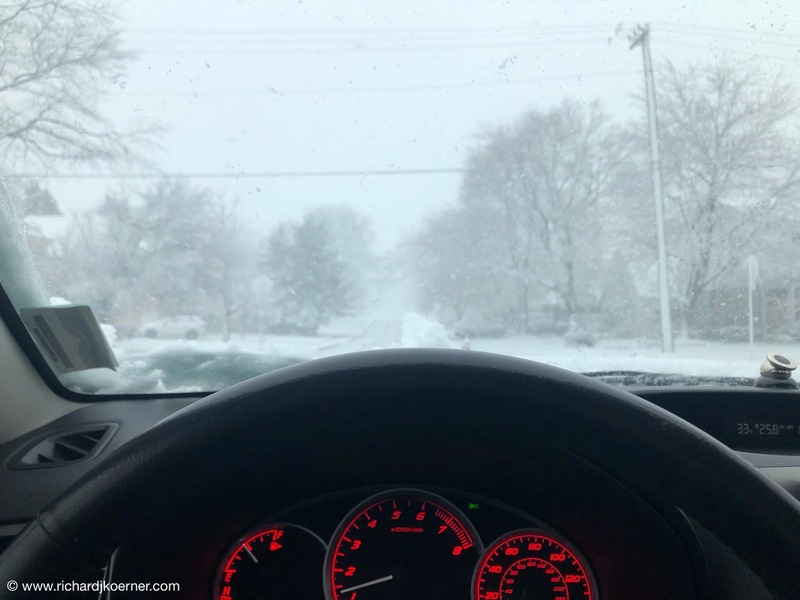 I went to the gym and coming back I noticed that the weather was so bad and street conditions as well, that a car had jumped a concrete median strip on Lake Cook Road between Deerfield and Northbrook and was in need of help to be lifted off of it. The temps were at about 33 degrees or so and the ground relatively warm. 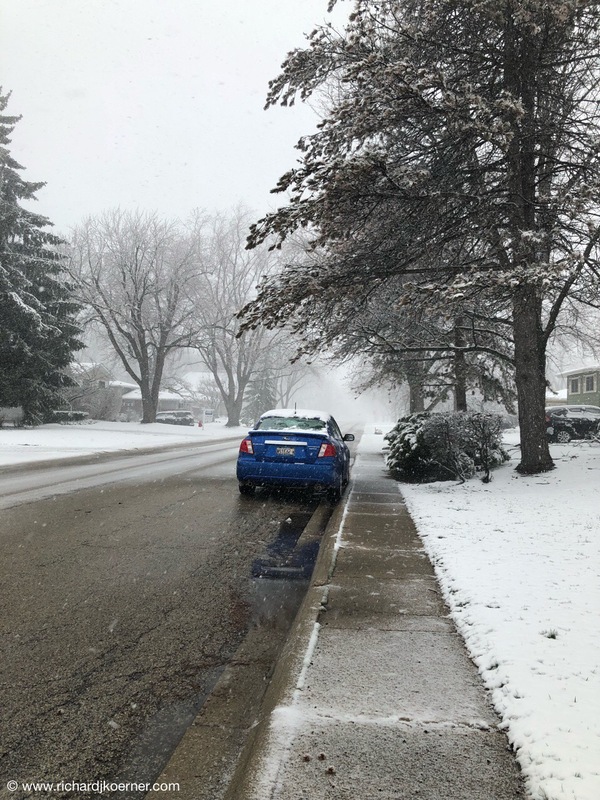 The snow is wet and slushy and is causing very slippery conditions. For a while, it was blizzard-like and felt so weird when you consider that tomorrow will be again in the 50s. 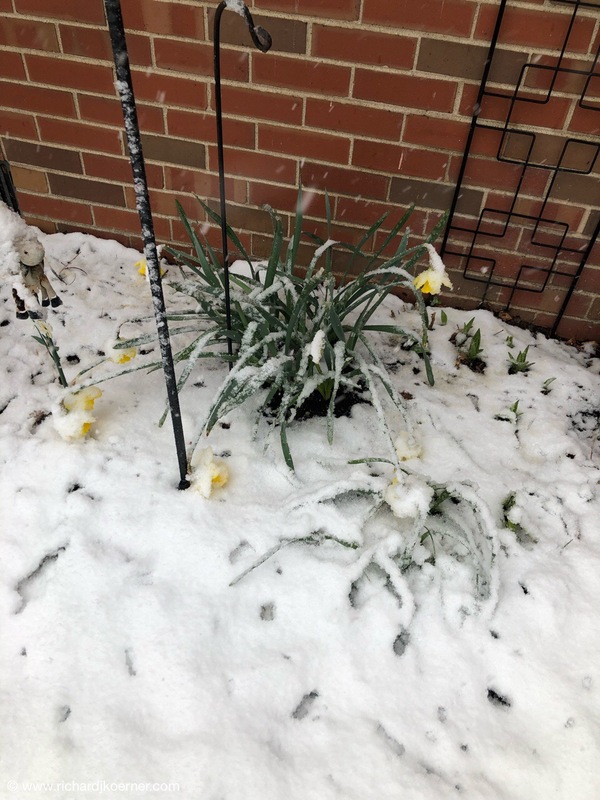 The daffodils are annoyed and weighted down by the snow. The robins were clearly confused as they went to forage for worms. Although, stuff like this shouldn’t surprise Chicagoans, it does at this time of the year. I am worried about a bush in the back yard that is weighted down by the slushy snow that landed on it. People driving in this snow were clearly unprepared. I was driving quite slowly as weather conditions were miserable. Do you think that this was all caused because I moved my shovel from next to the front stoop to the garage? 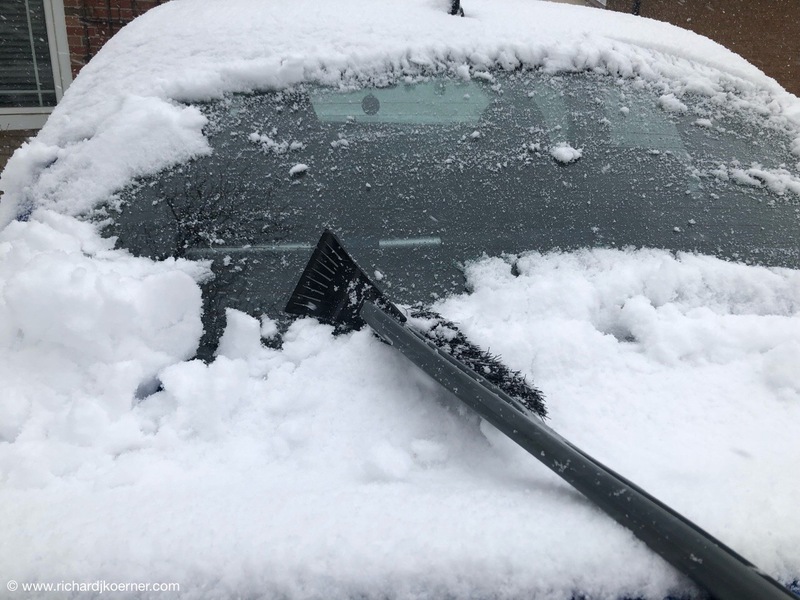 This entry was posted in Life in general, Seasonal Transition, Snow and Ice, Snow and snow removal, Thoughts and philosophy. Bookmark the permalink.